Green Bank is a financial institution that offers a variety of banking services, ranging from personal loans and checking accounts to wealth management services. On Greenbankusa.com you can find out all about their online banking services, open checking accounts and search for money market information. 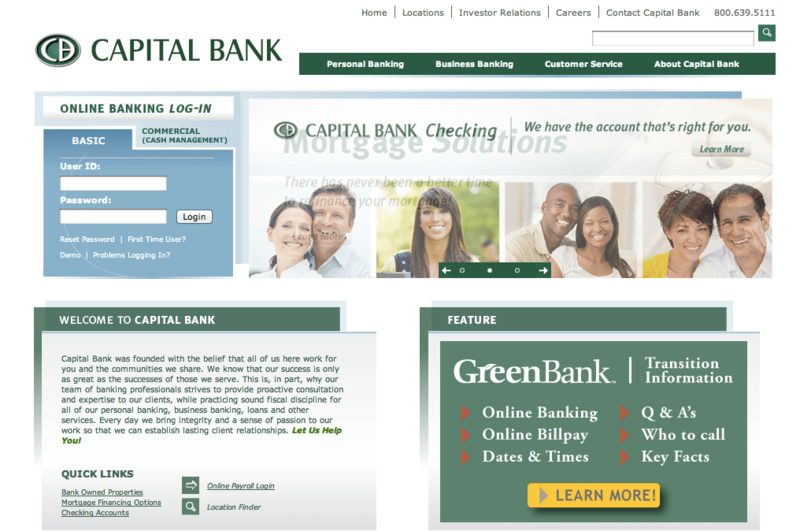 Many users stop by Greenbankusa.com to learn how to open a savings account online, in a few steps. Additionally, it is possible for you to access online banking services and to apply for mortgage loans, as well. Not only can you learn about their personal banking services, but you can also find details about their business banking services. Also, you can stop by this website to ask for credit cards and to pay credit cards, too. The site also lets you apply for checking accounts online. To sum up, if you are looking for a reliable banking institution, you will find Greenbankusa.com an interesting option to bear in mind.